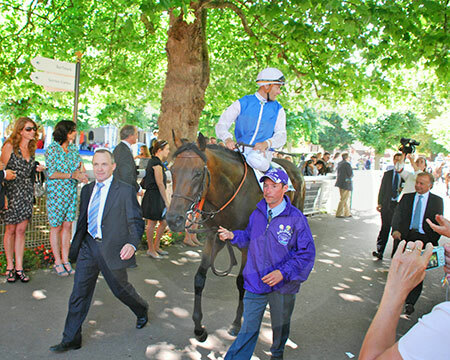 Another Goldikova update from our guest blogger/photographer John Gilmore. Enjoy! 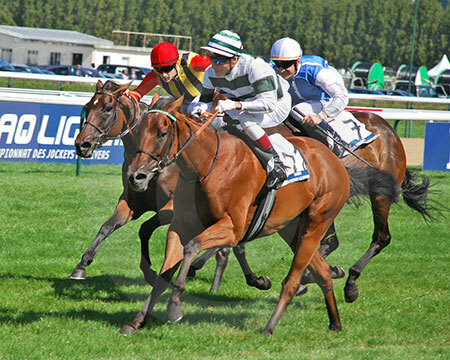 The stage was set, with a large crowd hoping to witness another memorable performance from Goldikova and jockey Olivier Peslier, in the Prix Jacques Le Marois at the picturesque La Touques Deauville track on August 15. 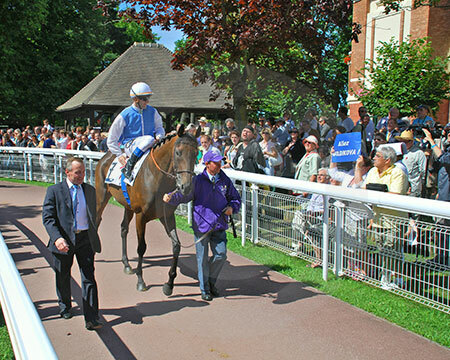 It seemed nearly everybody at the track was willing Goldikova to win. 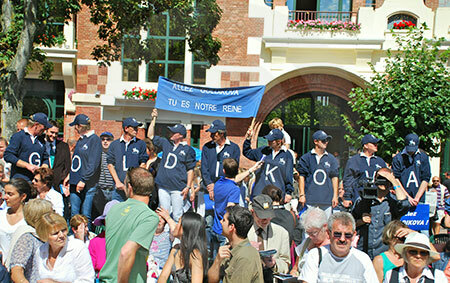 I spoke to some of the Goldikova fan club- identically dressed in dark blue outfits, with baseball caps to match. who work at the Wertheimer et Frere Haras (stud) de Saint Leonard in Normandy. One girl summed it up, "we all love her, she's a real star and always gives her best" The racecourse joined in the fun by giving out "Allez Goldikova" posters. But sadly it wasn't meant to be and despite Olivier Peslier entering the race on a hot streak after winning the first four races, including a Group 11 on Goldikova's half sister Galikova, we didn't have a fairy tale ending. Drawn 11 of the 12 runners wasn't considered an inconvenience, though low numbers are normally favoured, nor the ground, which was on the soft side of good. In the race everyone was anxiously waiting with baited breath for Goldikova's customary birst of speed in the last furlong, bot on this occasion it just wasn't forthcoming. 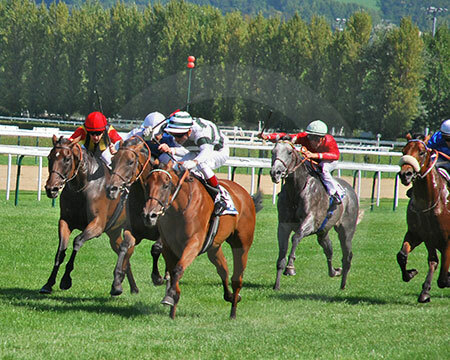 The mare being upstaged by a brillant acceleration from the 3 year old upstart Immortal Verse, with Goldikova still running on gamely for second place, without her usual sparkle, but losing nothing in defeat. As Goldikova was brought back into the unsaddling enclosure, she still received a fantastic applause from the appreciative spectators. Perhaps in Hindsight, to win two top class races in the space of 14 days is asking a lot. But some of the fans I spoke to after the race were not too disappointed, including a couple from Paris who are going to the Breeders Cup and expect after a rest," "Goldie" will be back with a bang in the Autumn". So, even though she didn't win the Prix Jacques Le Marois, do you still like her chances for a repeat victory in the Breeders' Cup Championships this year?